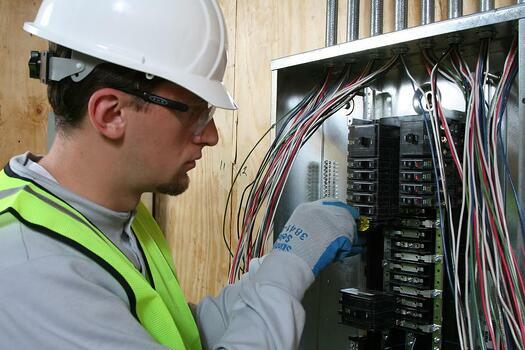 Electrical workers install, maintain and repair electrical power, communications, lighting and control systems in homes, businesses and factories. 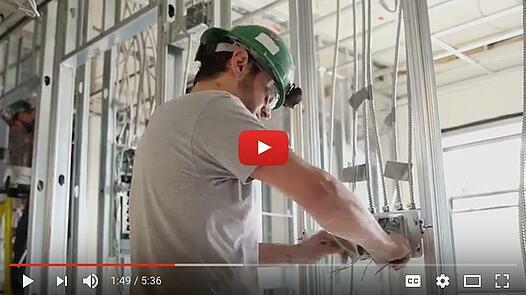 Electrical workers work indoors and outdoors in nearly every type of facility. Almost all electricians work full time, which may include evenings and weekends. The work can be dangerous and potential injuries include electrical shocks and burns, cuts and falls. Electrical workers learn their trade through a registered apprenticeship program that is usually cost free to the student. A high-school diploma or equivalent is required to begin your apprenticeship and career in the trade. Most states require electricians to be licensed. After the apprenticeship and based on certifications, a journeyperson construction equipment operators (a qualified and skilled person in a trade), can earn anywhere from $25.00 to $42.00 or more an hour. Employment of electrical workers is projected to grow 14% from 2014 to 2024, much faster than the average for all occupations. As homes and businesses require more wiring, electrical workers will be needed to install the necessary components. The job prospects for electrical workers should be excellent, as many employers report difficulty finding qualified applicants.